Regulators are deciding how much lobby wining and dining Texas lawmakers can accept without revealing their names. Hint: It's a lot. The Texas Ethics Commission is deciding whether to raise legislators’ pay and, with it, a limit on how much lobbyists can spend on lawmaker meals without telling the public who they were feeding. Once their paychecks and their dine-on-the-lobby questions are taken care of, lawmakers will be set for the 20-week regular legislative session that begins in January. Texas legislators make $600 every month. But they get a daily reimbursement when they’re out of town — in Austin, for example — making laws. The current “per diem” is $190; over the course of a 140-day legislative session, a lawmaker who spends the entire time in Austin would pull in $26,600 in addition to the base salary of $600 per month. In its meeting Friday, the state’s ethics commissioners — the people who regulate the behavior of campaigns, candidates and public officials — will get a first look at a proposal to raise the per diem to $215 from $190. Two years ago, they raised it to $190 from $150. Put another way, lawmakers got a 26.7 percent increase at the start of their last session and could get a 13.1 percent increase this time. But that’s not the end of it. State law requires lobbyists and others who take legislators out for food and drink and entertainment to report that spending. That law includes a loophole dear to many lawmakers: The objects of those lobby affections do not have to be named in official reports unless the spending exceeds a certain amount. You can buy a lawmaker a steak and a martini and be required to report everything except for the name of the diner. Voters never have to see a thing. The trigger for name-that-legislator reporting is currently $114: that’s the amount a lobbyist can spend before having to name the recipient. That number is, by law, 60 percent of the legislative per diem set by the ethics commission. If the per diem is raised to the proposed amount of $215, the size of that secret dinner would rise to $129. Of course, there’s another twist: Lobbyists have a workaround for more expensive ventures. They can split the check with another lobbyist and buy more food and drinks without naming the officeholder they’d like to influence. With two lobbyists in tow, the size of the unnamed official’s meal could rise to $228, and so on. If the new per diem goes in, that two-lobbyist tab for entertainment or food and drink could climb to $258. A particularly creative and/or demanding officeholder can get all the way through a legislative session without buying a meal, missing a big concert, paying for a round of golf or having a cocktail — all without being outed as the sort of person who is getting a great free ride solely because of the public position granted by voters. None of that is really the fault or the worry of the Texas Ethics Commission. The eight commissioners there were appointed by the governor, the lieutenant governor and the speaker to enforce the laws passed by the Legislature itself. Three of the eight were just appointed; this week’s gathering is the first for those new appointees. 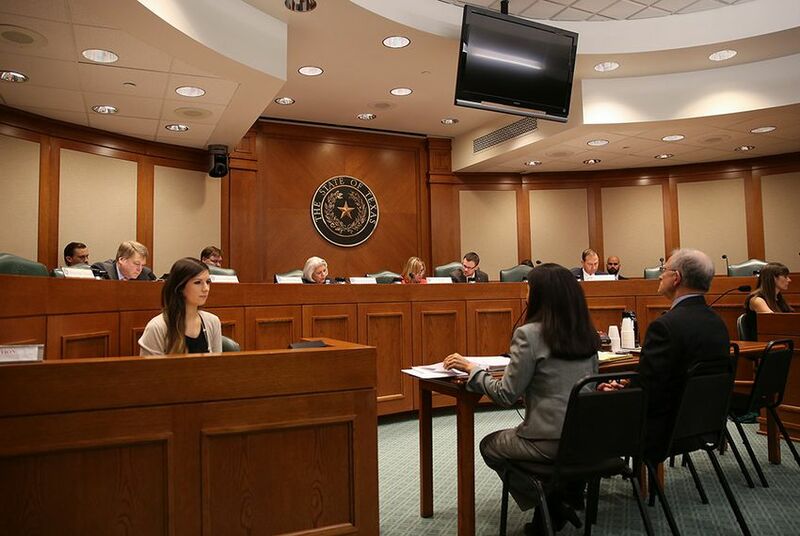 In this case, the commissioners are simply deciding whether the per diem established in the law is adequate to cover the legitimate expenses of coming to Austin to represent Texans in their government. They were brought in to make sure this particular gravy train runs according to the law — not to say whether it ought to exist, or whether the size of certain gifts to certain officials ought to be tied to the costs of living in Austin for five months every two years. That was already decided by the legislators who benefit from it. Lawmakers considered lowering the anonymous meal amount to $50 in 2015 and unlinking that from the per diem reimbursements. Republican politicians in Texas ought to be celebrating right now, and for a variety of reasons. But the national election has them looking at the political weather forecasts, where they’re bracing for Hurricane Donald and a chance of purple rain. You know the unofficial rules: Nonvoters don't count. They're just noise. When politicians ignore them, nothing happens. As long as nobody stirs the majority of Texas adults who don’t vote, they are — politically speaking — a big fat nonfactor. The Texas Ethics Commission regulates legislators. Legislators control the commission's laws and budget. It's a complicated relationship.